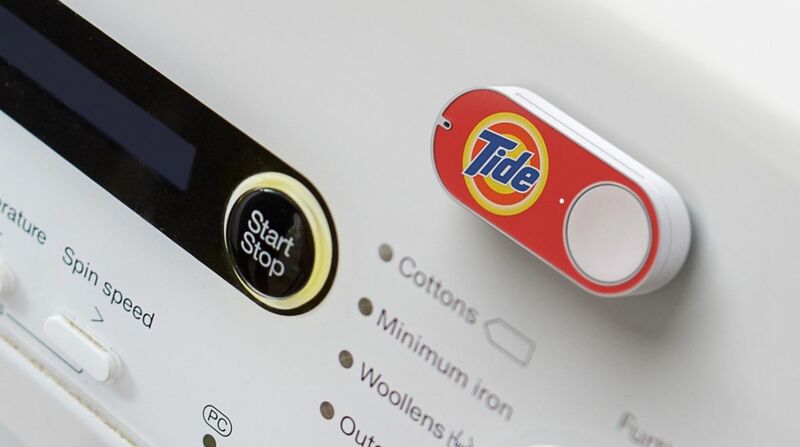 Amazon's Dash smart button was designed to be a one-touch ordering system for a select few items in your home. But it hasn't taken long for one enterprising smart button fanatic to hack the system to do pretty much anything. Instead of opening up the Amazon Dash to hack it, Cloudstitch CTO Ted Benson set up his home network to sniff for the signal sent when an un-assigned Dash is pressed, and then change the command to his liking. This opens unlimited potential for the button – as long as you're willing to have a PC continually on and scanning your Wi-Fi network for Dash presses. Benson set his button up to record every time his baby pooped or woke up in a Google Spreadsheet. Why? We have no idea. But if you know a bit of python, you can make up your own weird niches for the system. There's a (short) video explaining how it was done below – and curious hackers can read his full account.